Please click here to visit our Case Histories Downloads page. 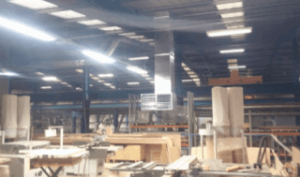 When Calder Lead bu ilt a mezzanine floor and put the wood working department on there they never realised how hot it would get in the summer months, Temperatures regularly reached 38Co. They then called in Celsius to help provide a cost effective way of cooling the area. EcoCooling evaporative cooling was the answer, one roof mounted unit and the cool air was ducted to an extra large discharge plenum to provide good coverage onto the mezzanine floor.Directly after installation temperatures on the mezzanine floor fell by over 15Co and personnel are now far happier to be working this area. We designed and installed the EcoCooling system with suitable ducting for the area for less than £6,900 and running costs for the year will be less than £500 and for such a large area this is amazingly competitive. Celsius undertook the complete turnkey installation during normal working hours. When it came to presentations day at Queen Ethelburgas school outside York all the staff and pupils used to dread it being a sunny day as they would feel like they were melting in the sports hall, as temperatures often used to climb into the thirties!! So they approached Celsius Design to provide a cost effective and green solution. The low carbon footprint answer was a system of 8 no. EcoCoolers and 8 no. 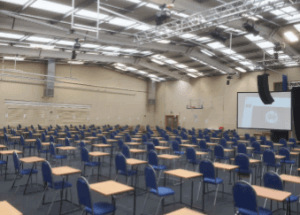 Celsius extraction fans, all the equipment is roof mounted and also contains large attenuation sections to minimise noise levels in the area, as this area is also used for exams each year. They are all controlled in zones with the benefit of a timeclock facility so they can be operated throughout the night at a lower temperature to chill the area with low cost electricity, keeping already low running costs even lower. Celsius installed all the equipment during normal working hours and undertook all works including water pipework, electrics and all builders work. 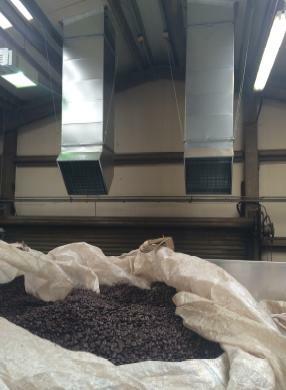 When Masteroast of Peterborough required their Production area cooling they approached Celsius, the cooling system had to reduce the shop floor temperatures in both the Roasting area and also in the Packing Area, where temperatures used to regularly rise above 38Co in the summer months. The correct level of cooling was introduced using 4 no. Celsius high powered vertical discharge extraction fans and the important fresh filtered air was introduced using 4 no Celsius Wall Inflow units above and below the mezzanine floor area in the packing area. The fresh air was introduced in the Roasting area through 4 no. Celsius Roof Inflow units, these provided a very comfortable flow of fresh filtered air across personnel and product in the area. We also installed a high level weather louvre in the Roasting tower at high level, this measured 2,000mm wide by 3,500mm high. When Polyflon wanted to cool their new factory in Eccleshall they approached Celsius to provide the best most economical method of cooling. the personnel within the area. conditioning and 20% cheaper to install. Following the success of the installation of 7 no. EcoCooling evap coolers in the ‘Wet box’ production area at Butchers Petcare (where the actual product wascooked, minced and canned), they then wanted to cool the main production area, this was an area the size of 3 football pitches, incorporating a packing area, warehouse area and a despatch area. Louvres with an insect screen to maintain the high hygiene standards in the area. An EcoCooling unit was also installed to provide some spot cooling by one heat emitting machine. Celsius undertook the complete installation with no downtime in a live Production area. Butchers were very impressed with the performance of the Celsius engineers and the resulting environment that they created, as the temperature drastically reduced in the area. When Careys waste recycling wanted to cool one of their picking stations in their recycling centre at Wembley, north London, they approached Celsius. 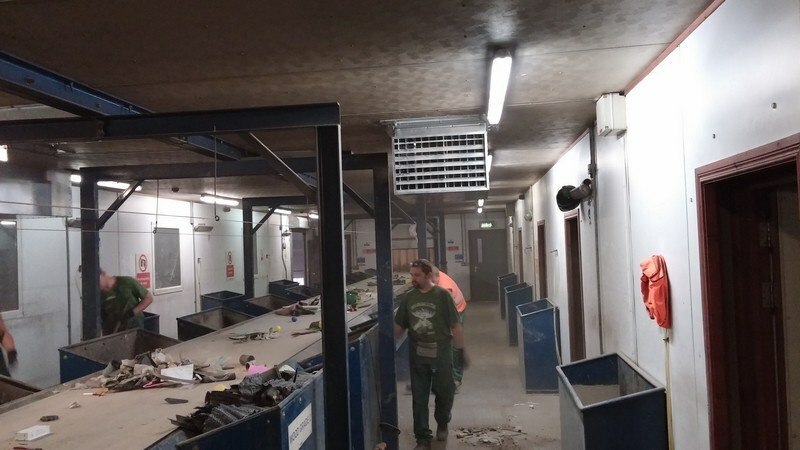 They were initially looking at installing air conditioning; the room is within a large warehouse which is full of discarded rubbish waiting to be recycled. As the rubbish is decomposing there is a tremendous amount of heat released and this means that the whole area is very warm, dusty and dirty. Air conditioning would have been more expensive to install and also far more costly to operate, however, air conditioning would not have introduced fresh air to the personnel operating the picking station and as air conditioning only recirculates the warm dirty air over the internal cooling coil it would have soon failed due to the airborne dust and poor quality of the internal air. EcoCooling was the logical solution, it uses fresh cool ambient air and then cools this as required, it means the air for the personnel is far healthier and the EcoCooling is far more robust and will have a far longer service life than the air conditioning would have had. It is also 90% cheaper to operate than air conditioning and 20% cheaper to install. The perfect engineered solution!! When Amethyst Group in Warwickshire started storing medicinal products they had to adhere to the MHRA regulations for both minimum and maximum temperatures across the 18 bay warehouse. They approached Celsius and we designed a suitable heating and cooling system, along with a full electronic temperature mapping system with internet access and email alert capability. The warehouse already had 4 floor mounted 175KW gas fired heaters, but due to the high rack storage there would be a possibility of cooler temperatures at low level whist the top few racks could exceed the 25Co maximum permissible temperature. To combat this happening we installed 42 no. Celsius destratification to gently push the warm air back down to low level and also mix it so there were no cold spots. In previous years the warehouse had regularly had extended temperature’s in excess of 35Co at high level. The new regulations means that they must aim to keep the maximum temperature to below 25Co. To achieve this we cleaned and then painted the 125 roof lights with special solar reflective paint, this will save over 65KW of solar gain during the height of summer. This effectively reduces the amount cooling equipment that is required and also the running costs of the cooling system. The warehouse is now cooled by using 9 no. wall mounted EcoCooling units ducted into the aisles and a further 3 no. wall mounted units to cool the personnel in the despatch area. These are balanced by the installation of 12 no. Celsius wall mounted extraction at high level. We also installed a full temperature mapping system consisting of 42 rack and space mounted sensors throughout the facility, these provide temperatures at high level and low level back to Amethyst’s main computer. This then enables reports to be produced for certain timescales showing that the whole facility has been kept within required tolerances. It can be viewed remotely from tablets and smartphones and email alerts can also be provided. 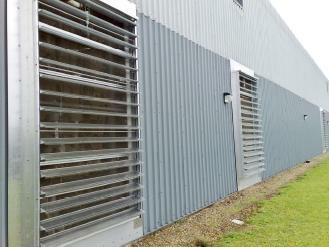 Durham Council have fitted 12 Celsius EcoCooling units and 12 Celsius extraction fans to their Data Centre in Durham. The area was previously cooled using 4 standard DX floor mounted CRAC systems providing nearly 360KW of cooling and costing many thousands to operate and maintain. Each EcoCooler in this application is estimated to save over £9,000.00 per annum and over 60 tonnes of Carbon per annum. Celsius undertook the complete installation including power and water supplies with no downtime in a live Data Centre. The whole installation will pay for itself in less than 2 years and go along way to meeting the Councils strict Carbon reduction targets. Rugby School, the founding home of the game Rugby Union, has installed an EcoCooling system in it’s new ‘state of the Art’ data centre. 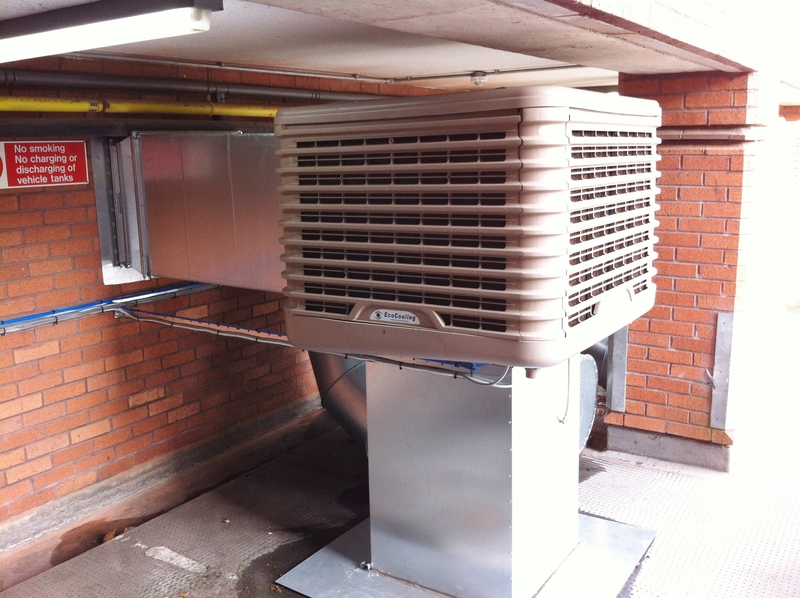 The system consists of a floor mounted cooler and a wall mounted extraction fan, linked to an internal control system. 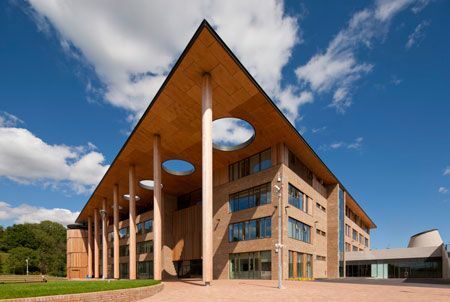 The system was specified and designed by the market leading Data centre fit out company, Comms Room Services Limited, who constructed and delivered the facility for Rugby School. The system provides over 35KW of cooling to the area and uses our unique ‘dual feed’ system to ensure total N+1 resilience. By powering the extraction system independently, if there should be a problem with the cooler, thus ensuring at least some cooling in the area at all times. There is also an external alarm facility, both audible and visible to ensure the alarm is picked up should there be a fault. The system has worked very well even during the warmest spells and costs less than £2.00 per day to run on the warmest days. 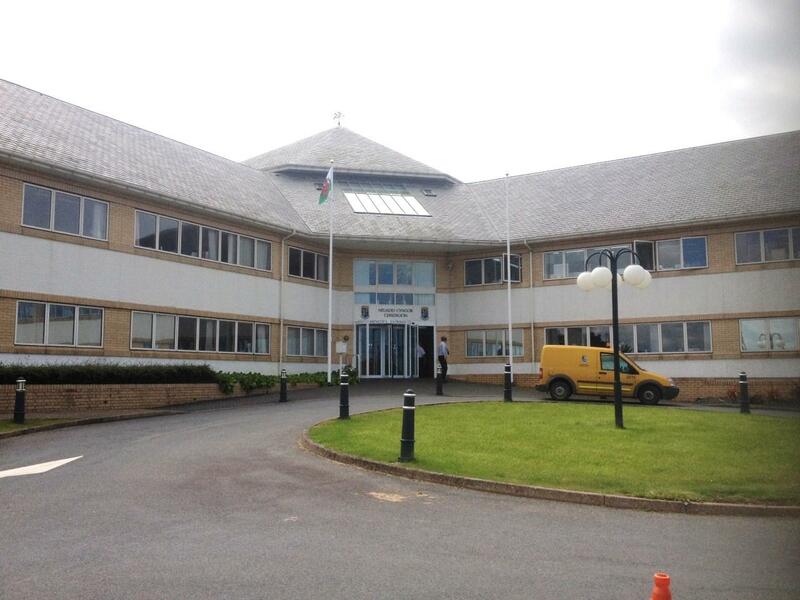 Aberystwyth Council have fitted 2 Celsius EcoCooling units and 2 Celsius extraction fans to their head office Data Centre and their electricity usage figures for the first couple of months of use indicate that it will pay for itself in under 2 years. 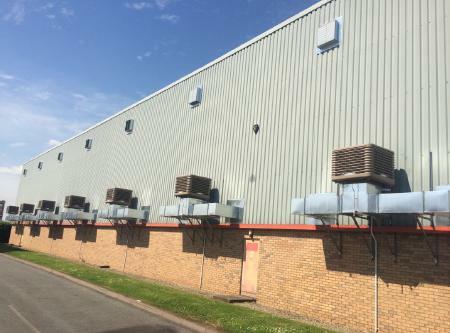 The area was previously cooled using 2 standard DX CRAC systems providing nearly 50KW of cooling and costing many thousands to operate and maintain. Initial running cost figures are showing an annual saving of over £17,500.00 pa, they are also expecting to save several thousand pounds on the servicing costs of the system, as the EcoCooling system is far easier to maintain. Celsius undertook the complete installation including power and water supplies with no downtime in a live Data Centre.The EcoCoolers are mounted on the 15m high roof and ducted down the front of the building in colour co-ordinated ducting. Sheffield Children’s Hospital has the lowest PUE of any Data centre in the NHS after installing 6 EcoCooling systems in their new ‘state of the art’ Data centre in Sheffield city centre. 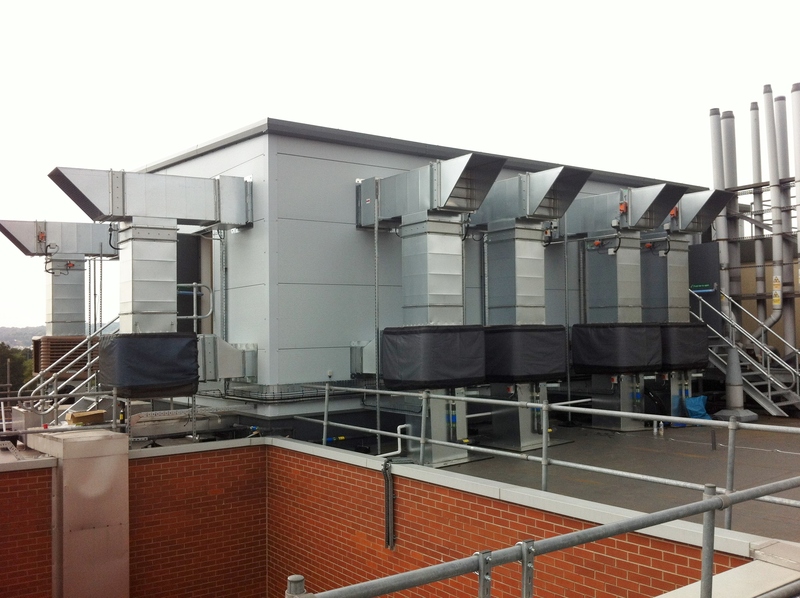 The Data Centre was constructed on top of the existing 5 story Sheffield Children’s hospital, using a light weight construction, the EcoCoolers were installed around the periphery and the fresh filtered cool air is ducted under the floor into the cold aisles. The warm air is then extracted out at high level and, if required, mixed with the incoming cool air to provide the air onto the data racks at exactly the right temperature. The whole installation will pay for itself in less than 2 years, saving over 290 tonnes of carbon per annum and go some way to meeting the hospitals strict Carbon reduction targets. 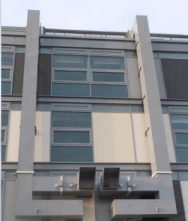 Celsius have recently installed an EcoCooling system for Lhasa Limited in Leeds, Lhasa Limited have recently moved to a Leeds city centre office block and we have recently install a full EcoCooling system in their purpose built Data Centre. The whole installation will pay for itself in less than 18 months and help in lowering their Carbon footprint. The EcoCooling system provides 30KW of cooling and will save over 60 tonnes of carbon per annum. 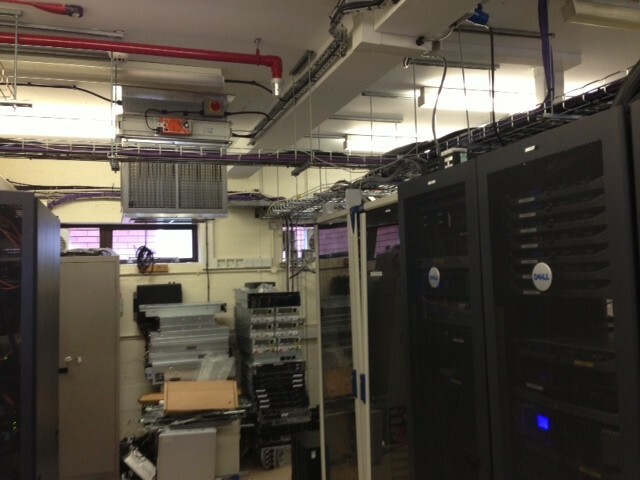 Leeds Met Uni have recently installed another system of EcoCooling in their UPS room adjacent to their Data Centre. They had install a system of 9 no. EcoCoolers in their Data centre two years ago and this system has performed very well for them, saving a great deal of carbon and running costs. As well as installing the EcoCooling we have also removed the existing air conditioning system and replaced this with a modern Mitsubishi wall mounted system to provide N+1 resilience for the Celsius EcoCooling system. 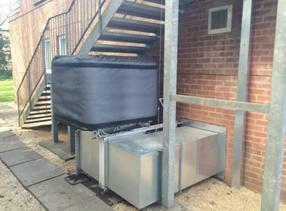 Celsius undertook the complete installation including power and water supplies to the EcoCoolers. The whole installation was undertaken with no down time and a minimum of disruption. The whole installation will pay for itself in less than 18 months and help in lowering the Universities Carbon footprint. The use of the Celsius EcoCooling system will mean that the existing CRAC units have an extended lifespan due to their minimal usage. The Environment Agency have recently installed a system of EcoCooling in their Data Centre in Reading, this will save over 60 tonnes of carbon emissions from their two CRAC units that usually cool the area. We removed one large pane of glass and replaced this will a colour co-ordinated panel, fully weatherproofed and then passed the duct through this panel, the ducting was also colour co-ordinated. The EcoCooling system provides 30KW of cooling and links to the two existing CRAC units that now act as N+2 resilience, Celsius undertook the whole installation including electrics, water, builders work and all structural steelwork. Telford’s newest school and leisure centre employed Windcatcher units in the Activity hall, however, after only 6 months of operation they proved to be largely ineffective. Warm humid air was infiltrating from the adjacent swimming pool area and making conditions in the Activity area unbearable. Therefore, after using Celsius EcoCooling successfully at their Wellington Leisure centre they approached Celsius to design them an EcoCooling system for the Activity Hall. 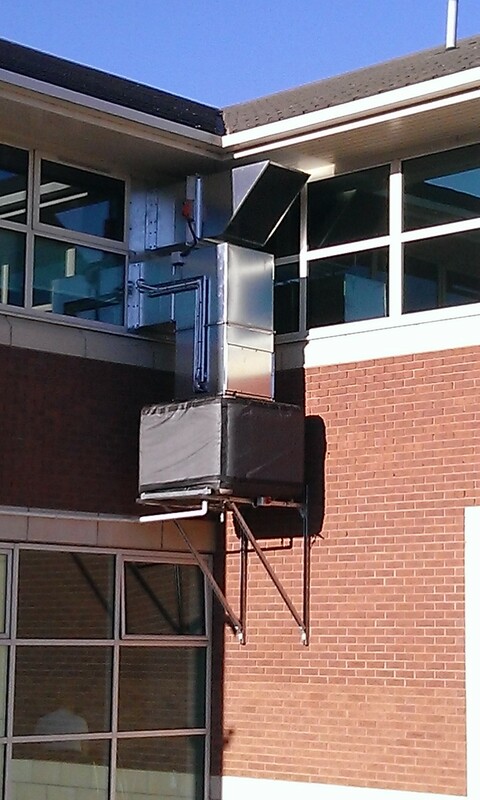 Celsius removed one of the Windcatchers and replaced it with an EcoCooling unit and Celsius extraction fan. The system also incorporates significant attenuation to provide cool quiet low carbon cooling to the area. Providing 35KW of cooling to the area for the use of only 1.7KW of electricity. The improvement in the area has been tremendous and all staff and customers that use the area are highly delighted with the new conditions. The system is connected into the centres Building Management system (BMS) thus providing fully automatic control. Celsius supplied and installed the system with all builders work, electrical wiring, water pipework and access equipment. Telford’s newest leisure centre uses an EcoCooling system to provide low carbon cooling to the gym area. 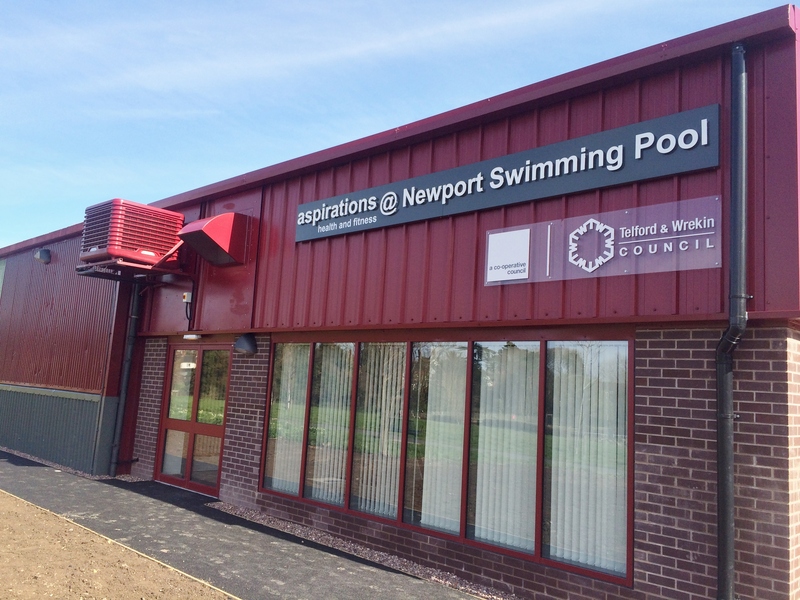 After using Celsius EcoCooling successfully at their Wellington Leisure centre and their new school at the Abraham Darby Centre they approached Celsius to design them an EcoCooling system for the new gym at Newport. The system also incorporates significant attenuation to provide cool quiet low carbon cooling to the area. Providing 35KW of cooling to the area for the use of only 1.7KW of electricity. 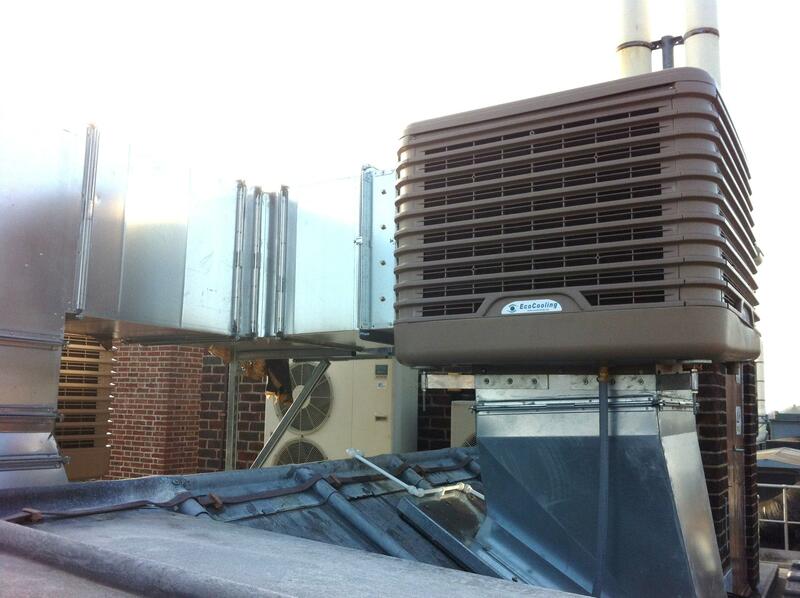 Warwick hospital have installed an EcoCooling system in their on site Data centre. The system replaces the 4 no. 10KW spilt air conditioning units currently used, each of these has a 32 amp electrical feed, compared to the 16 amp feed to the new EcoCooling system, this results in a saving to the hospital of over 90% on their current electricity bills. This equates to a saving of over 50 tonnes of carbon, going some way to meeting their Carbon Reduction targets. 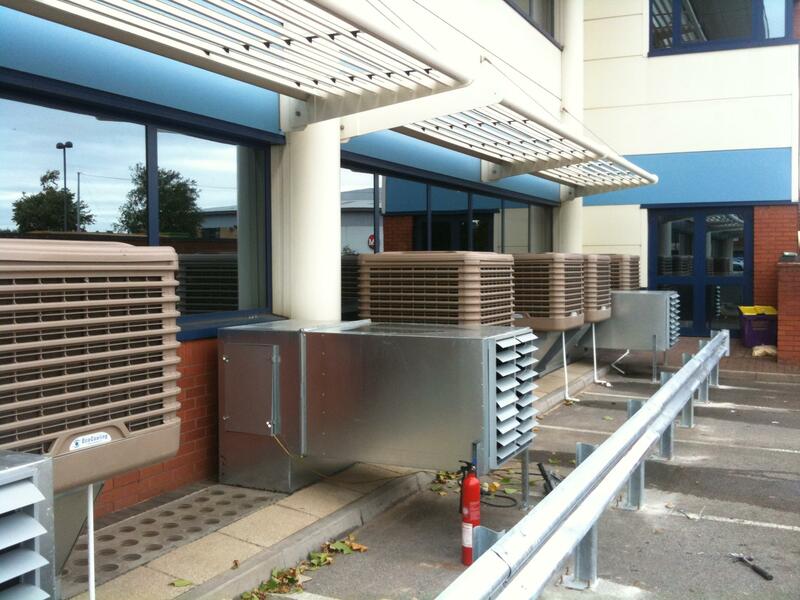 Bromley Council have recently installed a system of EcoCooling evaporative coolers to cool their main Data Centre . 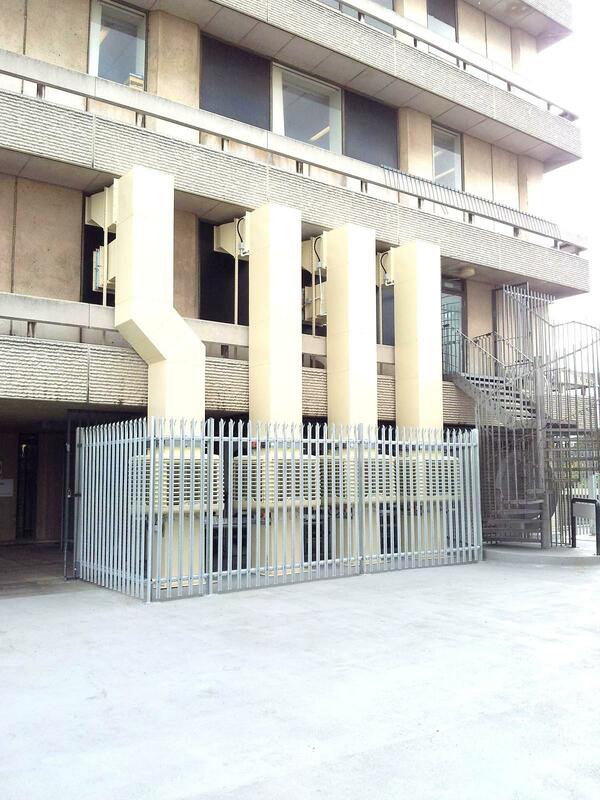 The Celsius EcoCoolers have replaced the two existing Denco Computer Room Air Conditioning units (CRAC’s), however, these have been retained to provide the N+1 backup required for the Data Centre. Bromley are striving to reduce their overall Carbon emissions, the installation of the Celsius EcoCooling system will save over 120 tonnes of Carbon per annum and over £20,000.00 in electricity running costs. The Celsius system utilises two wall mounted EcoCooling units and two wall mounted extraction fans. Cold aisle containment was installed as part of the system and each cooler has an ‘attemperation’ section fitted to entrain some internal warm air to mix with the entering cold air in the winter months to ensure the correct conditions are maintained year round within the Data Centre. The system also utilises the Celsius ‘Pulse’ control system to ensure wintertime conditions are within specification. Celsius fully installed the system without any down time within a live Data Centre, including all builders work, electrical wiring (with sub metering), water pipework, supporting steelwork, cold aisle containment, ducting and interlinking the existing CRAC units and all commissioning. All project staff at Bromley were delighted with the Celsius installation after some misgivings about carrying out such an involved installation in such a sensitive area. Newcross hospital in Wolverhampton have recently built a new Data centre and they have used a system of 2 no. EcoCooling units to provide the cooling. These will provide over 60KW of low carbon cooling to the area for a total input power requirement of only 3.5KW. The system consists of 2 no. stacked coolers blowing into the cold aisle of the area and 2 no. Celsius wall mounted extraction units to extract from the hot aisles. Celsius undertook the complete installation including power and water supplies to both EcoCoolers and all controls. The whole installation will pay for itself in less than 2 years, saving over 120 tonnes of carbon per annum and go some way to meeting the hospitals strict Carbon reduction targets. manufacturing plant, they called in Celsius Design to rectify the problem.They already had an extraction system, using fume scrubbing technology to eliminate the food odours and a fresh air system to introduce fresh ambient air, but these did little to cool the area on hot summers days. Celsius undertook the complete installation with no downtime in a live Production area. Butchers were very impressed with the performance of the Celsius engineers and the resulting environment that they created, as the temperature drastically reduced in the area. 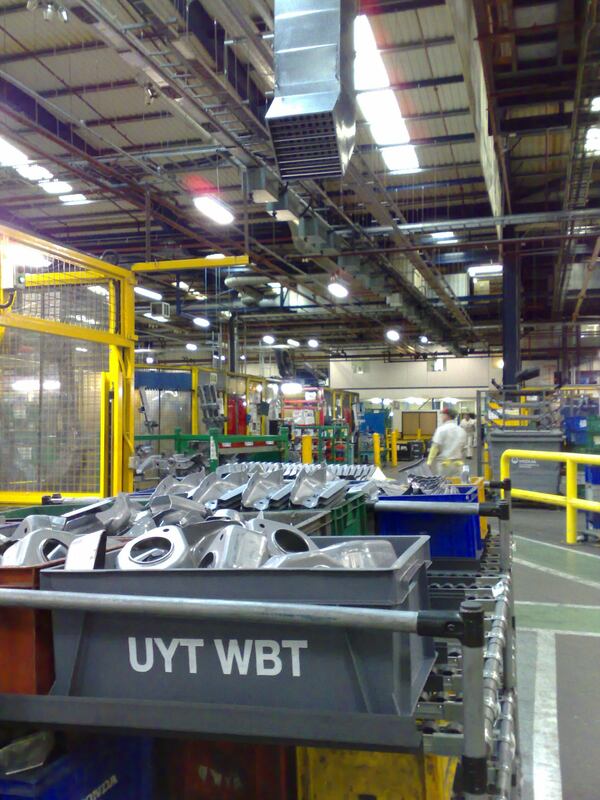 UYT Limited are a joint venture between Unipart and Honda producing pressed body parts for the Honda site in Swindon, they have a massive site in Coventry. 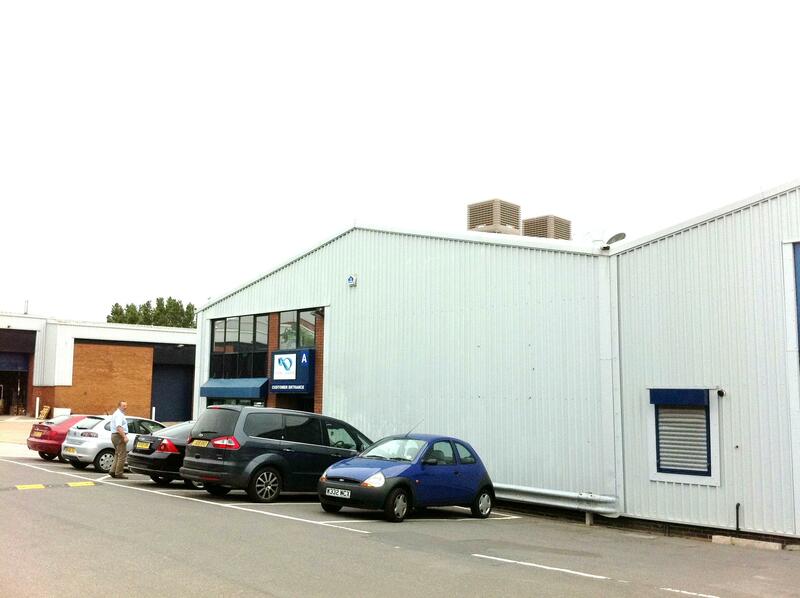 Their large site in Coventry suffered from severe overheating problems around the numerous manufacturing cells. To overcome this we installed a system of 14 no. Celsius evaporative cooling units blowing fresh, filtered, cooled air around The system has minimal running costs at less than 10% of the running costs of a comparable air conditioning system and less than 50% of the capital installed cost. The coolers are individually controlled from local control panels adjacent to the manufacturing cells to enable the personnel to control their own working environment. 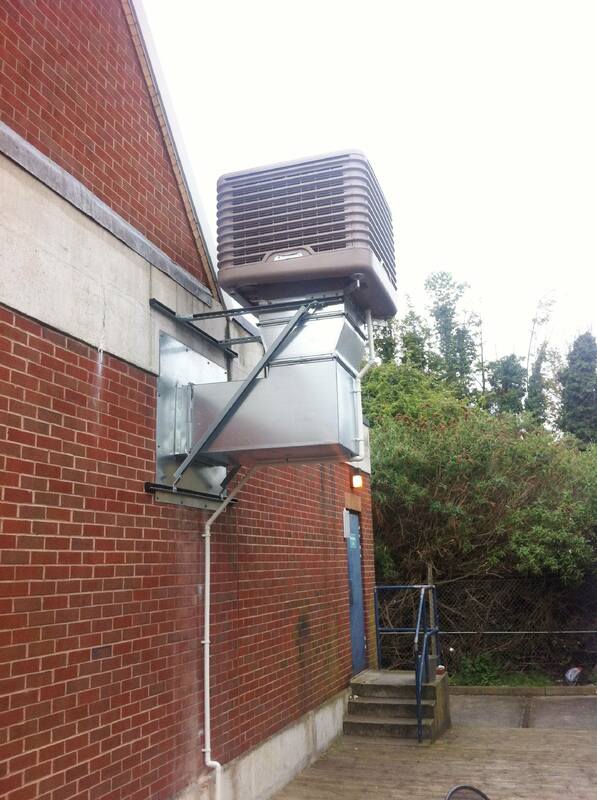 Medway Council have installed EcoCooling in their CCTV suite in Strood in Kent. The area has over 30 large screens monitoring the local area, these create a great deal of internal year round heat. The area was previously cooled using three 12KW ceiling mounted air conditioning cassette units. The area runs 24 hours a day 365 days a year, the system has immediately started saving the council vast amounts of money on running costs and reduced its Carbon footprint. As well as providing low cost, low carbon cooling the system also uses fresh filtered external air rather than recirculating the stale internal air that maybe harbouring bacteria and microbes, leading to increased cases of coughs and colds amongst the staff in the area, EcoCooling provides a far healthier working environment. The constant supply of fresh air also reduces carbon dioxide levels in the area, thus allowing the staff to remain alert and vigilant when monitoring the screens. Aberystwyth Council have fitted 2 Celsius EcoCooling units and 2 Celsius extraction fans to their Data Centre in Aberaeron. The area was previously cooled using 4 standard DX split systems providing nearly 50KW of cooling and costing many thousands to operate and maintain. Each EcoCooler in this application is estimated to save over £11,500.00 per annum and over 60 tonnes of Carbon per annum. The whole installation will pay for itself in less than 18 months and go along way to meeting the Councils strict Carbon reduction targets. There was also a requirement for increased filtration so wrap round G5 filtration sections were fitted. The filters are available in a range of colours. In 2010 Cambridge University installed a system of 6 no. EcoCooling units in their main Data centre for the Engineering Department. These were so successful that in 2012 they have installed another system in their small Data Centre in the Department of Genetics. This will provide 35KW of cooling and save over 60 tonnes of carbon per annum when compared to Air conditioning. Another reason for using EcoCooling was the lack of available power in the 200 year old building, so they wanted to use as much power as possible in the Data racks, the whole 35KW of cooling is provided for only 1.7KW of power into the EcoCooling system. Celsius undertook the complete supply and installation of the system into the Grade Two listed building, with no disruption to any of the department. Bedford Borough Council has installed a system of four Celsius EcoCooling units at its main Data centre in the centre of Bedford. It was a very complicated install into a live Data Centre, but there was no downtime or disruption. The coolers where installed at low level and ducted up the wall and into the area, all ducting , coolers and the supporting steelwork had to be colour co-ordinated to match the building and minimise the visual impact. The system has immediately started saving the council vast amounts of money on running costs and reduced its Carbon footprint. Tony Pompa, Bedford Council’s Data Centre Manger sent us the following email shortly after installation. The whole system is accurately controlled using an EcoCooling CREC PLC control system, this utilises the old air conditioning system as a backup to the EcoCooling system. 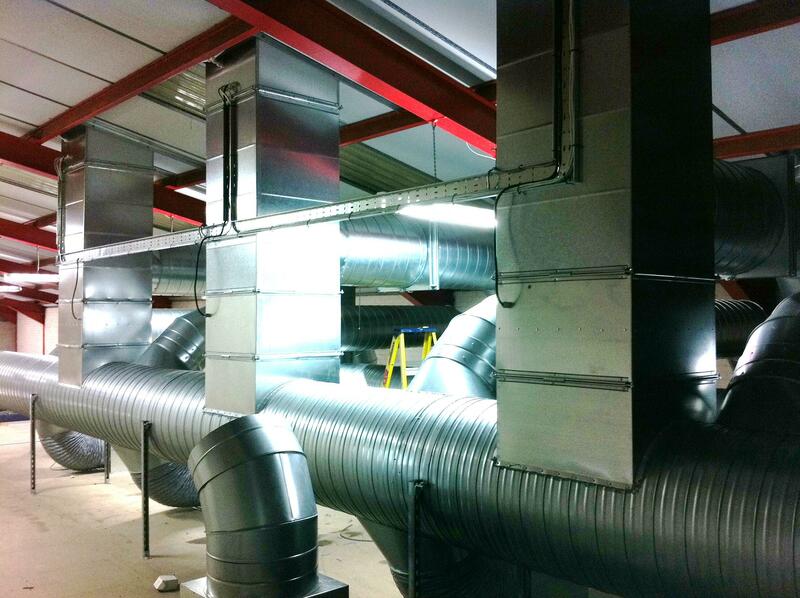 CCS (Leeds) have recently installed a system of Celsius EcoCooling units to cool their new Data Centre. 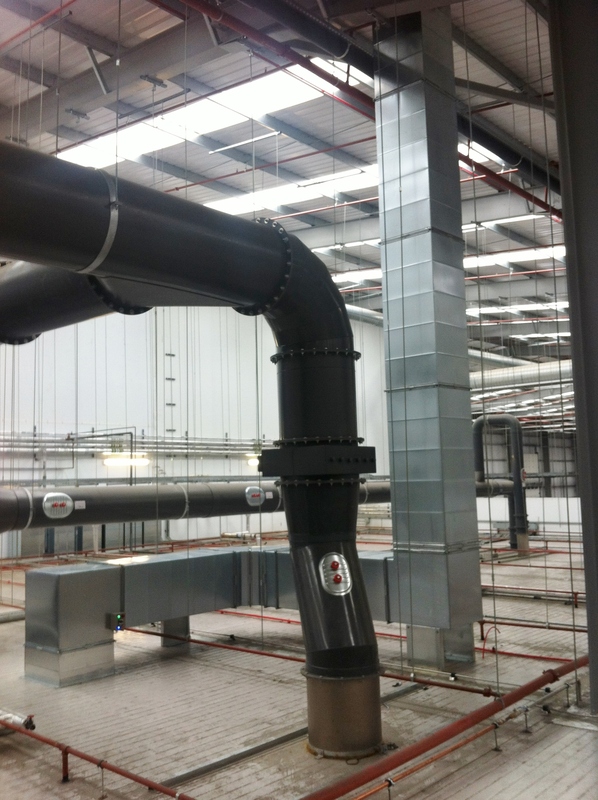 The system has been ingeniously designed to provide full N+1 cover for the expending data Centre with comman ducting in the roof void above the area. 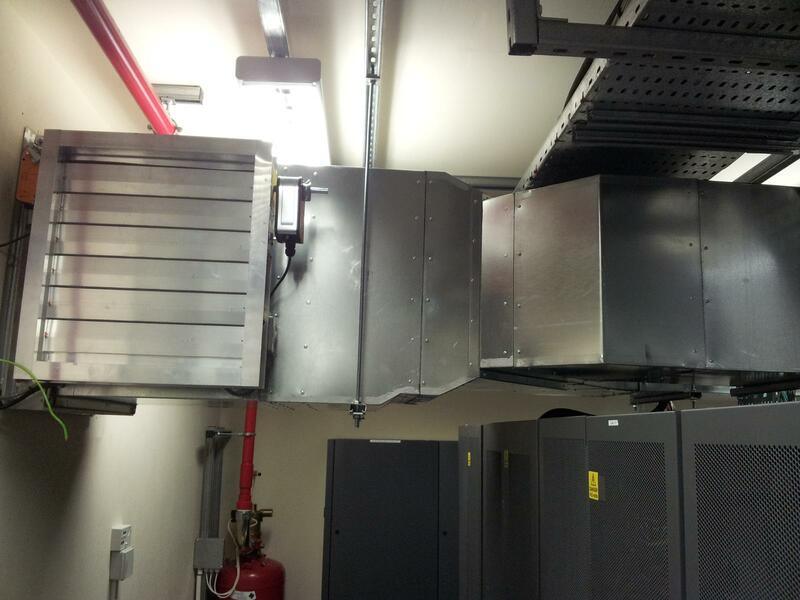 The EcoCoolers and the extraction fans are roof mounted, they duct down to the roof void above the Data centre, here they flow through a comman duct, complete with mixing section to allow the grill below the duct to be installed where ever they are required. The Mixing section allows the wintertime entering air to be atemperated with the warm air from the Data room ensuring the perfect temperature is delivered year round wit the minimum of running cost. 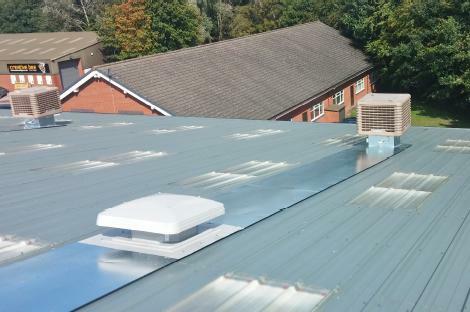 Due to the comman ducting running above the Data Centre more coolers can be added in the future to the roof above and simply connected into the main duct header. This will then allow the Data centre to be extended and new grills added above the racks beneath where ever they maybe needed. The Celsius system provides 90KW of summertime cooling for an input power of only 6KW. Celsius undertook the full installation including the roof works, wiring, water, ducting, pipework and all supporting steelwork. 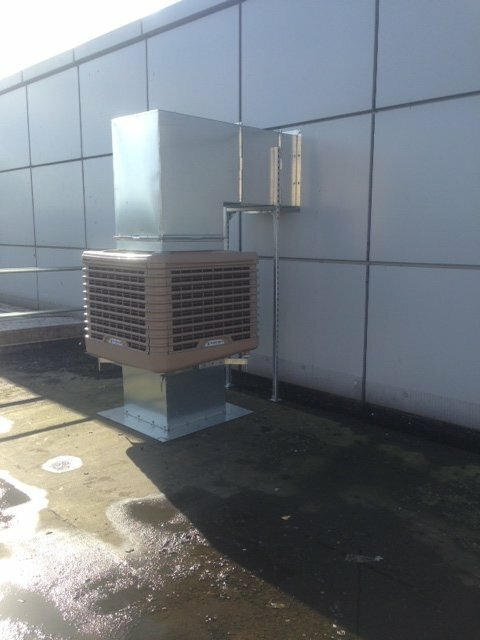 Capgemini have installed a system of 5 Celsius EcoCooling evaporative coolers and 4 ducted Celsius extraction fans to replace an old system of five air conditioning units that were cooling their basement Data Centre at their Birmingham offices. The new system is expected to save over £36,000.00 of electricity per annum and over 270 tonnes of carbon emissions, compared to the old inefficient air conditioning system. 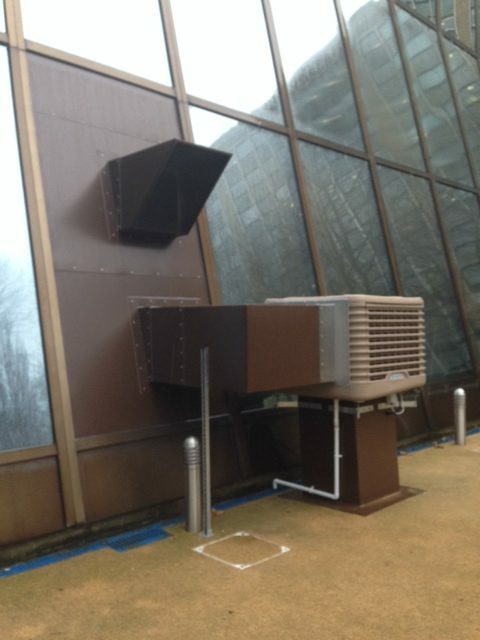 The Celsius system has an ‘atemperation’ system to ensure that the area is fed with correct temperature air throughout the year, even in the depths of winter using waste heat from the Data centre to temper the incoming fresh air. The Celsius system can provide over 140KW of cooling into the basement area, ducting the cool air under the raised modular floor. The Celsius system also incorporates 5 smoke vents to be used in the event of a fire within the basement. Celsius completed a turnkey installation including removing the old R22 air conditioning and all services. The installation was undertaken through Spie Matthew Hall consultants and the project was completed on time and within budget. 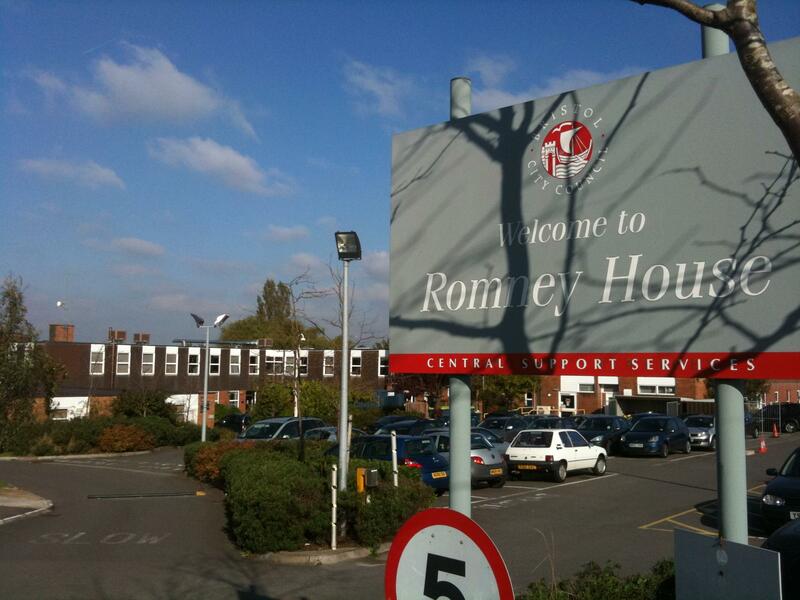 Bristol City Council have a Data Centre at their Romney House site, it was cooled year round using 5 no. Computer Room Air conditioning units (CRAC’s), this consumed a vast amount of power. To drastically reduce the running costs and reduce their carbon footprint they have installed a system of 6 no. Celsius EcoCooling evaporative cooling units and 6 no. 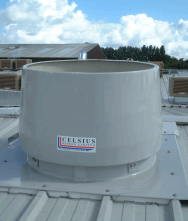 Celsius Roof mounted attenuated extraction systems, providing over 200KW of low cost, low carbon cooling. The new system is expected to save over £60,000.00 of electricity per annum and over 438 tonnes of carbon emissions, compared to their old inefficient air conditioning system. The above graph was supplied to us by James King of Bristol Council, it clearly illustrates when the equipment went live on the 11th October. All at Bristol Council are very happy with the result and the savings. The system has now been installed for over 12 months and Bristol Council have recently reported to us that they have saved over £70,000.00 in electricity running costs and the system has operated solely on EcoCooling since its installation. These figures are actual savings not estimates, it seems the estimated savings have been exceeded by the actual savings. The maintenance and servicing costs for the EcoCooling have also been lower than the old conventional system. In 2010 Cambridge University installed a system of 6 no. EcoCooling units in their main Data centre for the Engineering Department. The actual metered saving have been nothing short of amazing. The University have since installed two further systems in other Data Centres on their site. Due to the drastically reduced electricity usage the University have actually been able to increase the amount of power used for Data Racks by increasing the number of servers in the area as they now have extra available power. 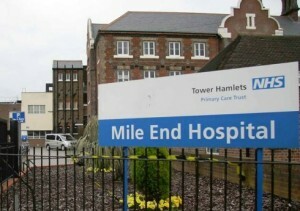 NHS Tower Hamlets Hospital has drastically lowered its Power Usage Efficiency (PUE) by installing Celsius EcoCooling in two of its Data Centres in the heart of East London. The area was previously cooled using ceiling and wall mounted Mitsubishi split system air conditioning units These were very inefficient and consumed a great deal of electricity. This installation will save in the region of £33,000.00 and over 210 tonnes of carbon per annum. Celsius undertook the complete installation including power and water supplies to all EcoCoolers. The whole installation was undertaken with no down time and a minimum of disruption. The whole installation will pay for itself in less than two years and go some way to meeting the NHS strict Carbon reduction targets. The use of the Celsius EcoCooling system will mean that the existing AC units have an extended lifespan due to their minimal usage. Legal Marketing Services are the UK’s leading conveyancing outsourcing company with a very ‘Green’ agenda, they are continually looking to drive down their electricity usage and reduce their Carbon Footprint. 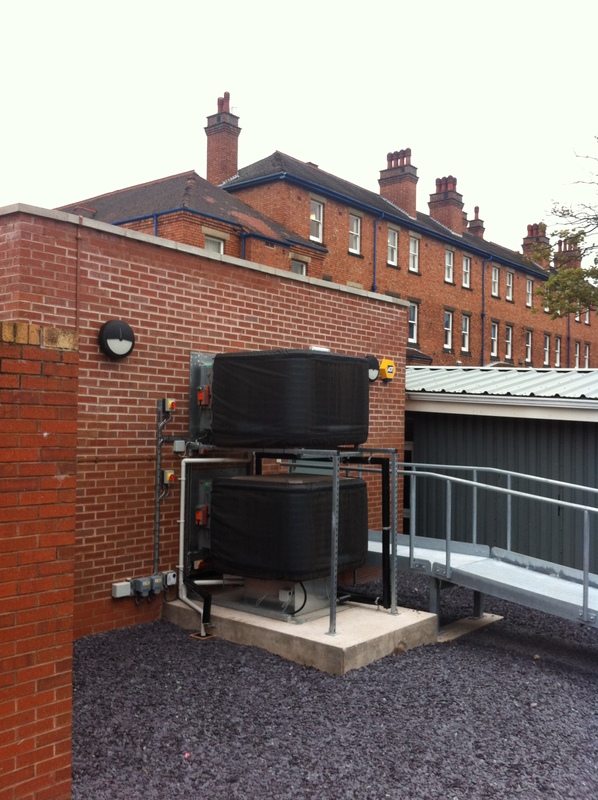 Celsius have recently installed an EcoCooling system for them at their Chester based head offices. This installation will save in the region of £12,000.00 and over 60 tonnes of carbon per annum. The existing wall mounted AC units used to struggle in the height of summer when external temperatures rose above 25Co, the new EcoCooling system will not have these problems as it becomes more efficient as external temperature rise. Celsius undertook the complete installation including power and water supplies to all the equipment. The whole installation was undertaken in the Data Centre with no down time and a minimum of disruption, working late into the night so as not to disrupt the office staff based nearby. The whole installation will pay for itself in less than 18 months and go some way to meeting the strict Carbon reduction targets.